The Knife Collector Box is designed and run by the good folk at Preppers Shop UK & The Prepper Box. Preppers Shop UK launched in february 2014 and has established ourselves as the industry leader in Prepping & survival. 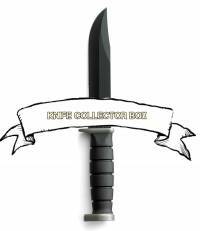 The Knife Collector Box is the latest part of the Preppers Shop group. You can rest assured that you are dealing with the very best company in the world.